In a time when many industries are downsizing and jobs are scarce, the field of healthcare is booming in many areas.One such sector experiencing steady growth is healthcare administration. If you feel a pull towards a career that will allow you to deeply impact the health and well-being of the population at large, a career as a health care administrator may be the perfect fit. Here is a basic overview of the field and what you need to do to enter it. The field of healthcare administration involves planning, directing, coordinating, and supervising the delivery of health care. You may work in a specific department or perform more general administrative duties for a whole facility or system. However, some administrators work in a much more intimate setting, such as an individual doctor’s office. The ultimate goal is to provide quality care with greater efficiency. If you like the idea of influencing patient health on a grander scale, this type of position will allow you to do exactly that. Things look good for the healthcare administration field; the health industry is the largest in the United States and employs over 11 million people. By 2016, there will be 3 million new health care jobs; one in every five jobs created is expected to be in the health care industry. This particular job is integral to the field overall and there will be a high demand for health care administrators in a variety of communities, both rural and metropolitan. In most instances, you will need a masters in healthcare administration to work in this field. However, a bachelor’s degree may be sufficient to get your foot in the door at an entry-level position. In some cases, such as working directly for a physician or in a smaller facility, job experience may suffice rather than an advanced degree. 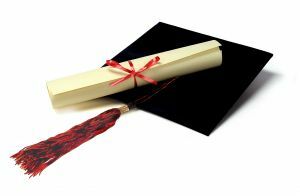 To maximize your career options, however, an advanced degree will be necessary. The skills and knowledge you acquire when pursuing a healthcare administration degree is applicable to a wide range of health care settings as well as non-health industries. You can work in hospitals, doctor’s offices, clinics, rehabilitation centers, pharmaceutical companies, insurance companies, banks and other financial institutions, long-term care facilities, federal agencies and state agencies. There is great potential for growth once you graduate with your master’s degree. If you start off in a smaller facility, you have the opportunity to move to a larger one with greater responsibility that offers higher pay. You can move up to higher positions, such as a department head or a chief executive officer. Many experienced administrators may move into a more independent position as a consultant. If you only have a bachelor’s degree, you will typically start off as an administrative assistant or assistant department head in larger facilities.If you are starting off in a smaller facility, you may take on a more advanced role, such as a department head or assistant administrator. About the Author: Kelli Cooper is a freelance writer who has blogged about various graduate and undergraduate degree programs and related careers.